What was his life like? Both plausible and possible, this moving story of Jesus’ life is told by imagining his interactions with people of the Gospel story and their reactions to their life-changing encounters with him. With this book the author announces deconstruction of the gospel events is over. This is a work of re-construction of a believable Jesus of Nazareth. It is like none other, for although it is simply written as a real human story, it avoids the flowery abstractions and supernatural fluff that usually plague such literature. 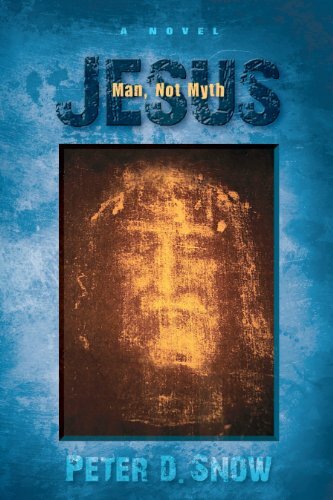 The author has connected the dots, complete with a lively exploration of the time, events and the responses of real men and women who gathered around Jesus and those who sought to destroy him. It is narrative theology and offers creative and satisfying answers to many questions the gospel stories leave unanswered. e.g What was Jesus’ mission statement? Why did the authorities want him dead? What was his core ‘Good News’? This is an invaluable and surprising tool for any curious seeker or Jesus scholar.